I believe my salad is healthier than the Big Mac, but I’m not sure about that. While caloric value and health value of my salad vs the Big Mac are measurable (here’s more than you probably want to know about the food served at McDonalds), the overriding thing that keeps me eating the salad – its taste – is not measurable since that is a personal preference. Don’t get me wrong, I think the Big Mac is delicious. 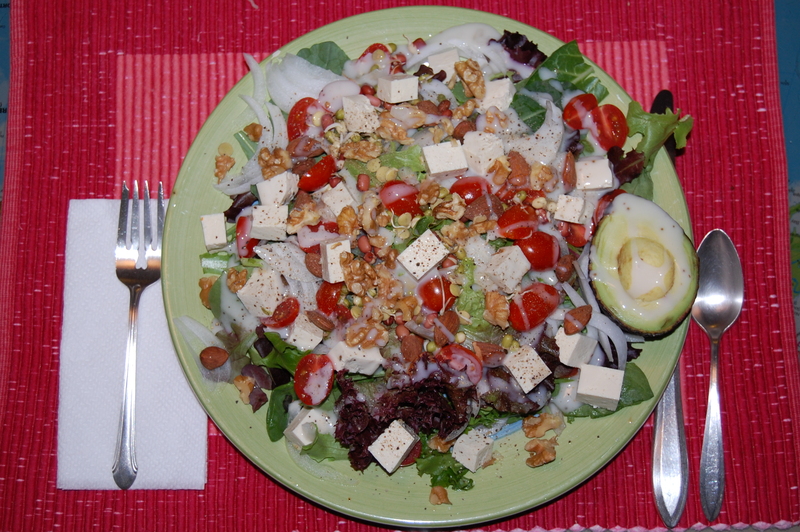 * But the salad wins out for taste, probably because it takes longer to eat, so the taste pleasure is longer-lasting! * This statement is base on eight-year old memory, as that’s the last time I ate a Big Mac. It was in 2005 that I switched to a gluten free diet and had to say goodbye to the Big Mac and the Whopper Junior (my burger of choice at Burger King). Is it possible that out of deprivation necessity I’ve convinced myself the salad is tastier! ?